In regards to this particular helmet what are you guys referring to when you say it has been "cleaned"? Obviously, switching a liner is a lot more serious than getting rid of some rust. 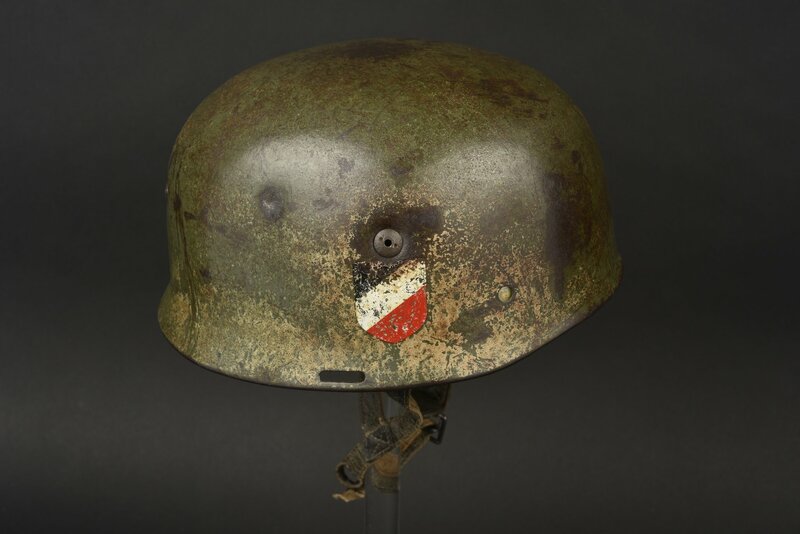 What exactly was done to this helmet? Looking for FJR2 combat pics in Russia. Originally Posted by Willi Z.
I also remember such a situation. The most horrible - M35 SS double decal three tone (brown-yellow-dark green) camouflage. It was found in the attic in a quite good condition - the camouflage was taken off It was in the 80s. If the catalogue is online, can you post a link please? Last edited by Höhe 112; 04-13-2019 at 11:13 AM. I don't think the early apple green finish helps with the sheen either, is it named at all ? I agree John. The photos also increase the sheen. 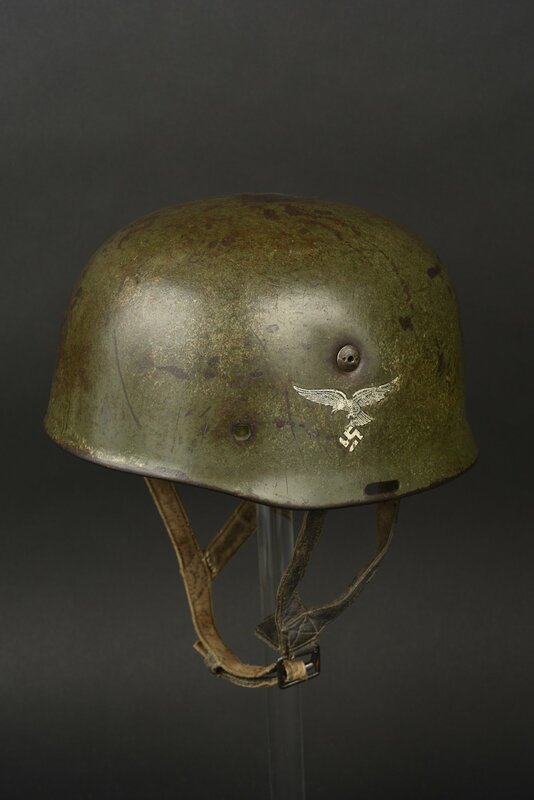 Interesting and rare helmet. The early droop tail eagle is nice as well.